What happens when engineers are bold enough to implement ideas themselves? When they first analyze the work processes of their customers and then produce perfect mobility solutions? The answer is the StreetScooter. 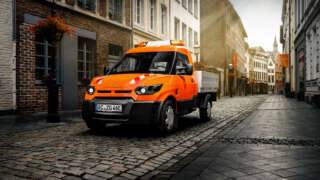 A zero-emissions light utility vehicle tailored systematically to your needs. Practical, robust and economic. At StreetScooter, we don’t build cars – we build tools on wheels. 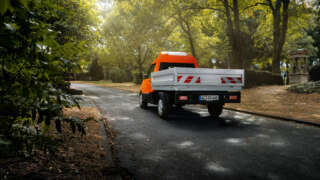 Together with our truck body manufacturing partners we offer you tailored transport solutions. StreetScooter dealers can be found at more than 100 locations across Germany. Each and every one of our StreetScooter models meet and exceed all safety requirements by far. Made for work. Built for you. 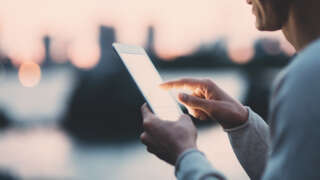 Looking for a mobile tool that can be optimally integrated into your workday and offers you the best possible support for your everyday work? At StreetScooter, we collaborate with top truck body manufacturing partners in the industry to provide you with a vehicle that is ideal for conquering your everyday challenges. From compartment and shelving systems in the cargo area through full extension drawer systems to load securing using various securing rails – each type of load is safe in our hands and always has more than enough elbow room in the large cargo space (up to 8 m³). Whether gardening or landscaping, municipal enterprises or construction: The StreetScooter is the ideal work tool for parks and nature conservation areas – it’s low noise and zero emissions. 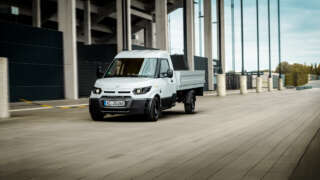 The WORK Pickup gives you the maximum flexibility of an electric commercial vehicle with integrated city center mobility and lets you assume a pioneering role in the drivetrain revolution. Refrigeration is indispensable to the foodstuffs and pharmaceuticals industries. 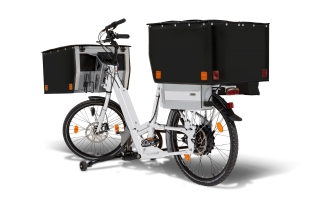 The StreetScooter has the capability of utilizing discrete energy storage to operate cool cargo systems. 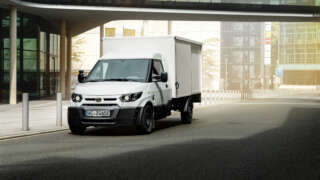 That means the vehicle range is not affected by the refrigeration unit. 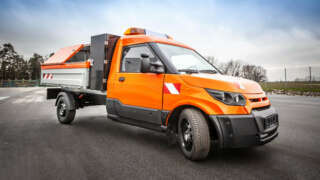 For delivery services, confectionaries, butcher shops, medicinal product carriers and cold chain shippers, the StreetScooter is a real alternative to combustion engine concepts thanks to its refrigerator superstructure. Our StreetScooter models not only offer you zero emissions while driving and unlimited access to no-emissions zones but real cost-saving alternatives for your company. Above and beyond the considerably lower maintenance and operating costs compared with internal combustion engines, the StreetScooter proves its worth with other benefits such as tax savings and nationwide government incentive schemes. And as an added bonus, your company becomes a living example of sustainability thinking. We have created from the ground up a vehicle tailor-made for courier, express and parcel companies. 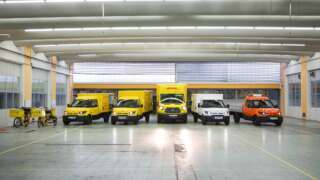 Deutsche Post’s fleet of StreetScooters – numbering some 7,500! 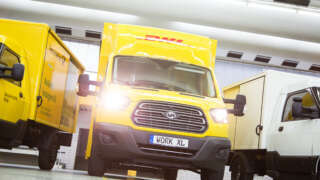 – have revolutionized today’s delivery operations. 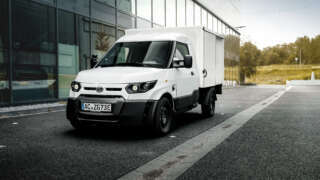 With the WORK XL, based on the Ford Transit, we have developed a wholly new type of vehicle in the van class. 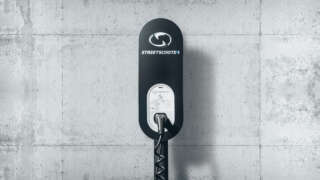 We make sure that you can charge your StreetScooter at any time and most anywhere. Thanks to over 8,000 charging stations installed for Deutsche Post, we have acquired comprehensive expertise in charging infrastructure. Why not talk to us about what you’re looking for! A whole range of government incentive programs are available at the state and federal levels for the purchase of an e-commercial vehicle. We would not only be happy to advise you in these matters – we’d also be happy to submit the application for you. Owing to particularly low repair costs in cases of damage, our premium partner Allianz rewards our customers with low premiums. You benefit two-fold: From the clever design and manufacturing materials combined with low service and maintenance bills and low insurance premiums. 1Manufacturer’s recommended retail price, plus statutory VAT as well as transportation costs and licensing/registration fees. Please note that the net price is only relevant for small business customers. 2Range according to NEDC. The actual range depends on different factors such as personal driving style, speed, topography, payload, outside temperature and electrical load. These factors should be taken into consideration whenever possible by drivers for maximum vehicle range. 3Information on dimensions and weights may differ owing to equipment and choice of body. All weights refer to the vehicle in running order, including driver (75 kg) and liquids.